Kesari is Akshay Kumar's forthcoming film with Parineeti Chopra. Kesari's new poster was shared by Akshay Kumar on social media which portrays him as the fearless warrior all set to go into battle against 10,000 Afghans. A short teaser of Akshay Kumar's upcoming war film Kesari was released online soon after the posters. "Presenting the first one from the glimpses of Kesari", Akshay wrote while sharing the video. 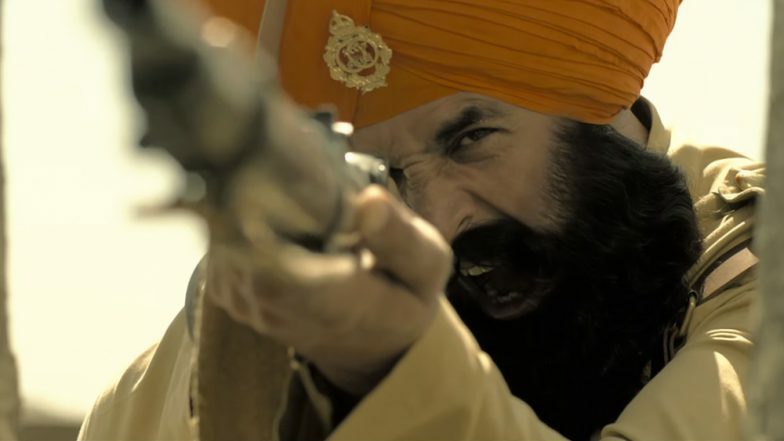 In this third promo, again Akshay is leading the brigade of 21 Sikh soldiers but this time you can see his face burning with fury and going all guns out to fight heads on with the 10000 invaders. The poster us a glimpse into the mind of the brave-heart who was sent into the battlefield by Britishers with just 20 soldiers. Akshay has teamed up with filmmaker Karan Johar's Dharma Productions for the movie, being directed by Anurag Singh. Since morning, we have been watching glimpses of the film as before the official trailer releases on February 21.